The 2010 Summary File 2 (SF2) profile was developed by the State Data Center (SDC) Network. This profile allows users to run a profile on any race/ethnic group listed in the SF2, as long as there are 100 or more people of that specific group in a particular geographic area. We would like to thank John Blodgett of the University of Missouri for his excellent work converting the SF2 data files to SAS datasets. This has made the job of generating the 2010 SF2 profile much easier and more efficient. We would also like to thank Xan Wedel of the University of Kansas who graciously helped with the SAS coding and proofreading the profile. Download the SAS programs that can be used to generate the 11-page SF2 profile. A copy of the SF2 profile for Nevada is also provided in the zipped file as an example. Step 1: Conversion phase: convert SF2 data files to SAS data sets. 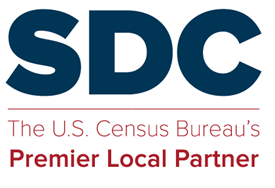 You can download the 2010 SF2 data files from the census FTP site at ftp://ftp2.census.gov/census_2010/ and run the conversion program (cnvtsf2.sas) to get the data converted to SAS data sets. The cnvtsf2.sas program is attached and can also be accessed at http://mcdc2.missouri.edu/cgi-bin/uexplore?/pub/data/sf22010/Tools. Step 2: Profile generation phase: Generate the profile using the SAS data files output from Step 1 as input. SF2_main_2010_pdf.sas. This is the main SAS program used to run the profile. It is set up so the user can select to run only the section(s) of interest and comment out the other sections. This code controls all of the other modules – you will only change this file when you run the profile. The instructions on how to run the profile are included in the program. Genprof1.sas contains the SAS code to generate the General Profile. Genprof2.sas contains the SAS code to generate the Age Profile. PageTOC.sas contains the SAS code to generate the Table of Contents. Formats.sas – This file is used by the main routine. Note that in the program Formats.sas, the specific geography (place and county) is for CA only so you will need to add the codes for your state. This entry was posted in Tips and Documentation and tagged Census 2010, Code, SAS.